At some time in your life, you’ve undoubtedly made a New Year’s Resolution and broken it. This year, stop the cycle of resolving to make a change, but not following through. You can also teach the kids about New Year’s Resolutions by reading the following children’s books about the topic. In this picture book Squirrel hopes to ring in the New Year with style. As librarian Bear explains, “When we begin a new year, we make a fresh start.” From soothing sick Skunk to teaching Porcupine comedy, Squirrel helps her fellow woodland animals master their own resolutions. Unfortunately for the well-meaning rodent, Squirrel struggles to find a resolution to claim as her very own. She might not know what it is, but everyone else does; as Rabbit tells her, “Your actions are better than words. It looks like you resolved to help someone every day.” The sugary-sweet conclusion provides little punch and begs the question, doesn’t resolve require some active thought? Ember’s illustrations allow the cuddly characters to pop against the bright acrylic spreads, and the woods (a classic diner perches in a tree, for instance) will appeal to the audience. Those searching for a spot of cheer in the gloomy cold months may find a serviceable holiday selection with Squirrel and her forest friends. Review by Kirkus Review. Amelia’s Must-Keep Resolutions for the Best Year Ever! This book is the format of a journal or diary and is penned in a black and white composition notebook and is perfect for kids aged 9- to 12-years-old. The author, Marissa Moss, says that she loves this format that she stumbled upon because it allows her to explore the world through a child’s eyes. The notebook is full of New Year ideas and ways to make resolutions that will really stick. The book is only 40 pages so it’s a quick read. Middle-schooler Amelia has resolved to make resolutions that really stick this year! Follow Amelia as she perseveres in staying true to her goals such as making 6th grade less stressful, proving to her parents that she’s responsible enough to have a pet (preferably an iguana), and making the most of her vacations. 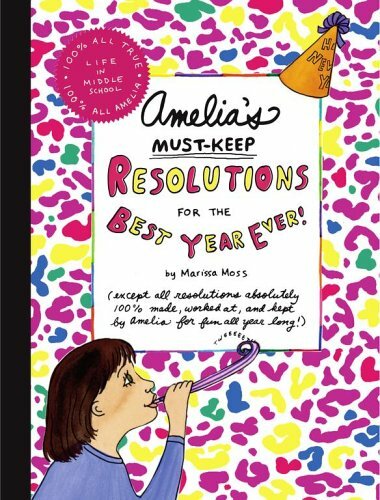 With lively relatable text and fun cartoon illustrations, Amelia’s Must-Keep Resolutions for the Best Year Ever! 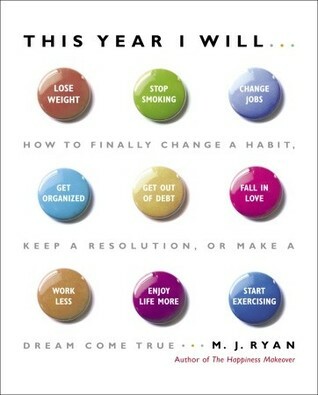 is a great read for anyone struggling to craft a keepable New Years resolution! Most New Year’s resolutions, no matter how well-intented, are doomed to fail for one often overlooked reason: they are incongruent with our dreams and values. 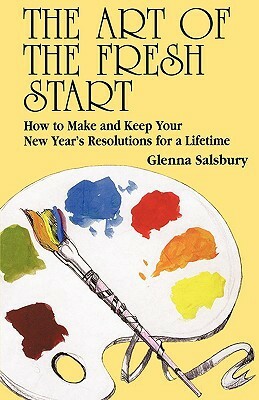 In The Art of the Fresh Start, Glenna Salsbury provides you with the tools to uncover the values that guide you, leading you to discover what you want to achieve and how to get there through internal motivation. This includes Book One: The Foundation for Your Fresh Start and Book Two: The “How” of Maintaining Your Fresh Start. This book takes you through the adventure of living your dreams by first showing you how to prepare for change, then by showing you how to get into action, how to keep going and also includes twelve tips for keeping your promise to yourself about your intentions. Ryan tackles the obstacles that keep readers from their goals and provides helpful tools and language to quell negative, self-defeating thoughts. Championing affirmation and cognitive therapy strategies, Ryan urges readers to switch from “why” thinking to “what could be possible” thinking, using “right brain” skills to achieve success: “The right brain is future oriented. It’s where our aspirations, our dreams, our longings reside.” Ryan’s handy self-help will prove welcome for anyone seeking gentle but solid help in achieving personal change.